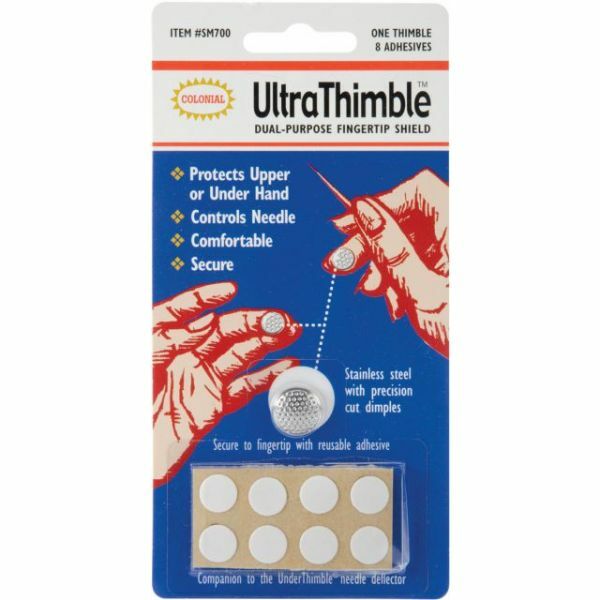 UltraThimbles - The ultimate thimble with a dual purpose. Stainless steel protection for both hands. Precision cut dimples stabilize the needle. 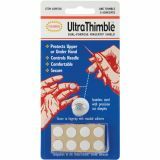 Eight reusable adhesives can be used again and again to keep your UltraThimble in place. Package includes one 12mm metal thimble and eight adhesive stickers.